PA Dept. of Corrections Tells Court It Will Finally Treat Mumia Hep-C infection, But Only Because DOC Neglect has Caused Cirrhosis - This Can't Be Happening! The DOC had informed the Third Circuit Court of Appeals in a status report filed today about the decision to start offering treatment — which involves giving him 12-24 weeks of daily anti-viral pills, but without that dire explanation for the department’s change in handling his case. The department currently has an appeal pending before the Third Circuit, asking that panel to stay a lower federal district court’s injunction ordering immediate treatment to be offered to Abu-Jamal. Last week, the Third Circuit judicial panel had rejected that appeal for a stay and Abu-Jamal’s attorneys were preparing to ask District Judge Robert Mariani to find the DOC in contempt and to order an immediate start to the medication. Ab-Jamal’s own doctor has not been shown the prison medical records yet, and thus cannot comment on the claim that he has cirrhosis. The DOC’s denial of treatment has been going on for exactly two years, dating from March 30, 2015, when inmate Abu-Jamal, already suffering from a terrible skin rash and unexplained dramatic weight loss, collapsed and had to be rushed out of the prison to a hospital, where he was diagnosed with serious case of diabetes. That’s when he was finally tested to see if he had a Hepatic C viral load in his blood (he did). The DOC already had known at the time for three years that Abu-Jamal had contracted the potentially deadly virus, thanks to a routine blood test he was given as part of the process of transferring him from the super-max SCI-Greene death row prison outside Pittsburg to his current regular-population prison at SCI Mahanoy, where he is now serving a sentence of life without parole following the overturning of his death sentence on constitutional grounds. Pennsylvania drops effort to deny Hep-C medicine to Mumia after a 3rd Circuit panel denies latest appeal for a stay of a lower court order demanding that treatement begin. Since the discovery of the active infection, which medical experts say is the reason he suddenly contracted a serious case of diabetes and which also explains several other debilitating ailments he has been suffering, the DOC has fought a two-year legal battle against efforts by Abu-Jamal and his attorneys to obtain the appropriate medicines available for treating his underlying Hep-C infection. During those three years since the initial positive test, there was no follow-up test done to see if his Hep-C had become an active and thus life-threatening infection until July of 2015. From 2015 to today my lawyers and I have been demanding real treatment for my Hepatitis infection. The DOC filed an affidavit which justified a US magistrate’s dismissal of my own suit. The DOC argued that my Hepatitis was ‘fine’. That it could go on for years without treatment. A federal judge disagreed and held a hearing which showed the affidavit was false and months later declared the DOC, its so-called protocol, ws unconstitutional. The DOC fought back arguing my Hep C wa at a low level. The judge again disagreed. Declared the protocol was unconstitutional a second time and ordered me treated. The DOC essentially ignore the court order for close to two months and earlier this week subjected me to more testing. Well, the results just came back. Not only do I have advanced Hepatitis C. I have cirrhosis of the liver called F4, because the DOC didn’t want to spend the money to treat m infection. 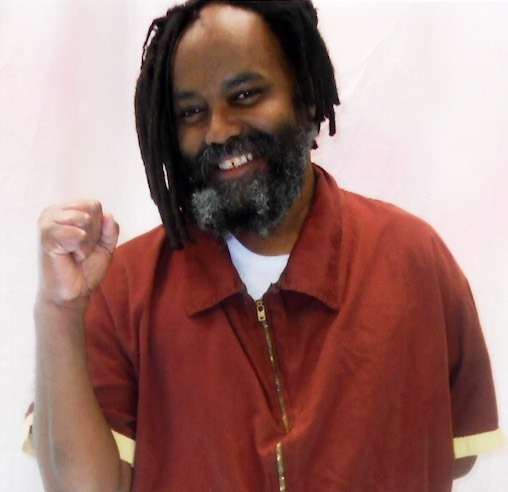 Abu-Jamal, who has always made it clear that he has been fighitng this legal battle not just for himself but for all prisoners suffering from untreated Hepatitis infections in Pennsylvania and across the country, concludes angrily that the department’s obstruction and delays “may have cost me my life,” given that cirrhosis is known to frequently lead to cancer of the liver in those who develop it. As Abu-Jamal noted in his taped commentary, that outrageous protocol only came to light during the hearing before Judge Mariani, when an attorney for the DOC mentioned its existence under questioning and then unsuccessfully sought to show it only to the judge, but not Abu-Jamal’s attorneys, and to keep it out of the court record — a request the judge denied. Abu-Jamal’s supporters around the world believe that Pennsylvania, under pressure from the powerful police union, the Fraternal Order of Police, which was long calling for the state to “fry Mumia!”, has been trying to “execute” him by medical neglect now that the courts have ruled that it no longer can execute him for a conviction at a trial that, fraught with examples of judicial, prosecutorial and police misconduct and perjured evidence by prosecution witnesses, remains highly controversial. If he is right and the Third Circuit judges, in ruling to deny the DOC’s request for a stay of Judge Mariani’s treatment order pending their hearing of their the department’s appeal is an indication that they were likely to rule eventually in favor the lower court decision of last August that denial of the new medications constitutes an unconstitutional form of “cruel and unusual punishment,” the DOC may have made a strategic decision here. They may have decided to cave on this particur case so as to avoid ending up with an appellate court ruling that could be used to compel the DOC to start providing the costly antiviral drugs to all state prisoners with active Hepatitis-C infections. Given that the Pennsylvania DOC does not want to be compelled to provide the costly anti-viral medication to thousands of the state’s incarcerated inmates, it is of course possible that this claim that Abu-Jamal has now developed cirrhosis is false and is simply being used by the DOC as an excuse to allow it to back out of a case that was going badly for the state. It may all be an effort to deny ending up with a Third Circuit ruling that could lead to prisoners in the whole area covered by the Third Circuit, which would include Pennsylvania, Delaware and New Jersey, to have to start offering treatment infected inmates in their prisons. Meanwhile Abu-Jamal’s attorneys are remaining skeptical about the DOC’s assertion in its latest court filing that it is planning to start providing the needed anti-viral meds to their client until it actually happens.